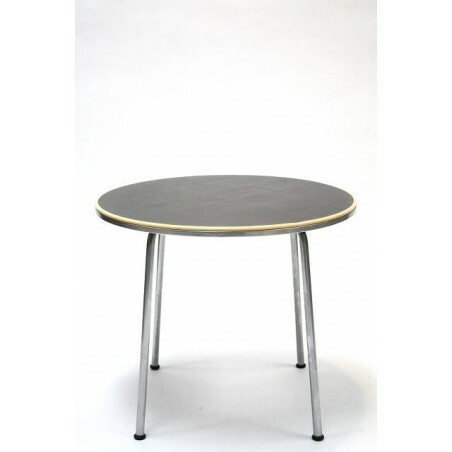 Original Gispen coffee-/ sidetable from 1952. 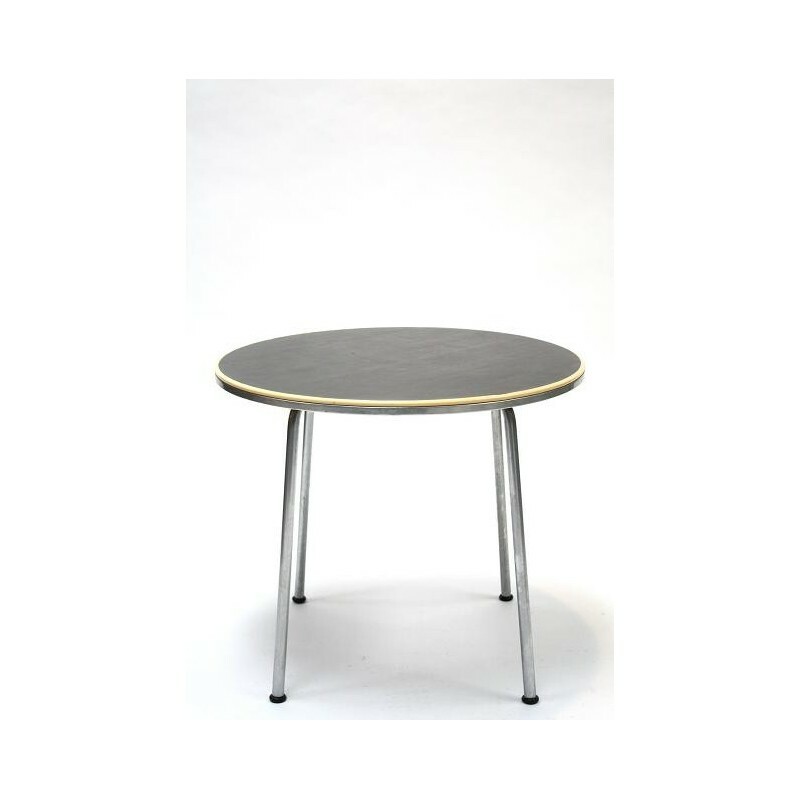 The table is part of the 500-series of Gispen. 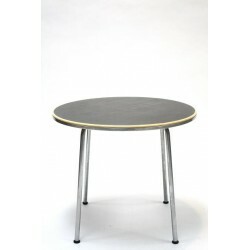 The table has a linoleum top with a ivory nylon trim. The base is matt ( brushed metal). The table is in a good condition given it's age. The dimension is 70 cm in diameter and the height is 60 cm.